Hundreds of white nationalists, neo-Nazis and members of the “alt-right” march down East Market Street toward Emancipation Park during the United the Right rally Aug. 12, 2017, in Charlottesville, Va.
To hear Kessler tell it, the people attending the rally with his group were the victims. Kessler blamed counterprotesters for the violence that occurred in 2017. “It wasn’t the fault of my group that that stuff happened,” he said. So it wasn’t the fault of your group and your ideologies that a white man felt empowered to run his car through counterprotesters, killing Heyer? It wasn’t the fault of your group that DeAndre Harris got brutally beaten by white supremacists while counterprotesting in Charlottesville? It wasn’t the fault of your group that a white nationalist opened fire at the crowd during the rally? At any rate, Kessler is reportedly working with the police and NPS and is also giving people who wish to attend the rally rules in order to keep things safe. Kessler is hoping to protect “white civil rights” ... you know, the rights they’ve always had, more than any other group of people. “We’re not able to peacefully assemble. We’re not able to speak,” Kessler explained. Kessler told WUSA that he doesn’t believe that black or Latinx people are the ones getting offended by the rallies. Rather, he thinks that Democrats are targeting minority groups in order to rile them up. “This rally is not about opposing you. This is about us. This is about white people and standing up for our rights,” he said. 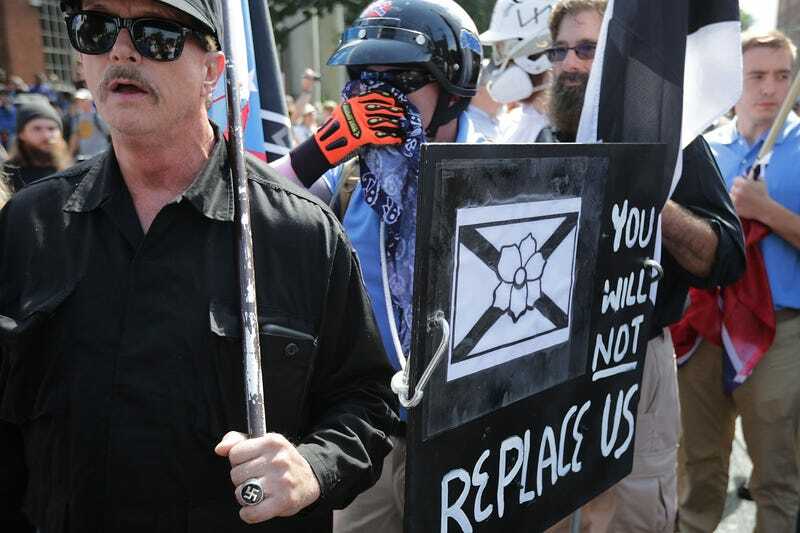 That explains why white nationalists were chanting some iteration of “You will not replace us” while carrying tiki torches. At any rate, there is no doubt that this rally will not go down without counterprotesters showing up again ... but let’s hope it doesn’t come to that, especially given Kessler’s track record.